-So you may have noticed that Jeff Carter is not included, and instead, Teddy Purcell, who is not a center, is listed with an asterisk in his spot. This, as you may have guessed (or had read on Twitter) is because Carter occasionally takes the option for morning skates. Purcell does not appear to be quite ready to return and was instead standing in for the center. Expect Carter to play. 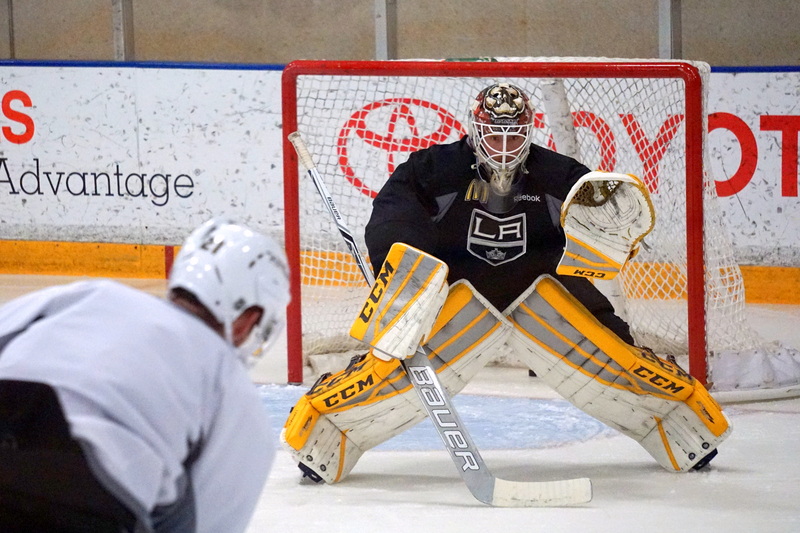 Andy Andreoff was not among those who took the ice shortly before 10:00 a.m.
–No surprises: Peter Budaj left the ice first at the morning skate and is expected to start in net against Anaheim (7:30 p.m. / FOX Sports West / FOX Sports Go / KABC 790 / I Heart Radio). 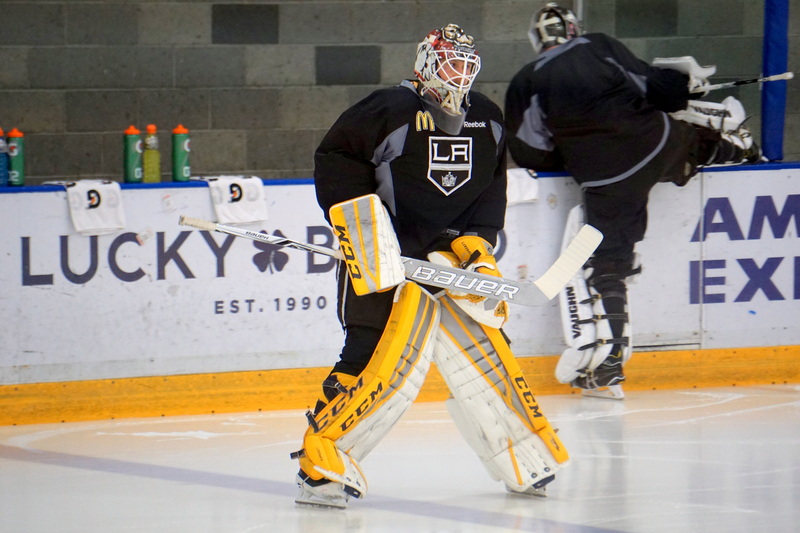 -Jeff Zatkoff faced a few shots prior to the morning skate but isn’t on the verge of a return. The next step in his recovery will be to see some shots that aren’t quite as simulated. “You know, a little more reactionary and just make sure I can have that and kind of go from there. That’s kind of the next big step for me is not that pre-planned shot but just kind of going into a little something, just going with the flow and reacting and seeing how I handle it,” he said. Expect a Zatkoff update and an Alec Martinez-Drew Doughty pairing story later this afternoon after some Darryl Sutter quotes. 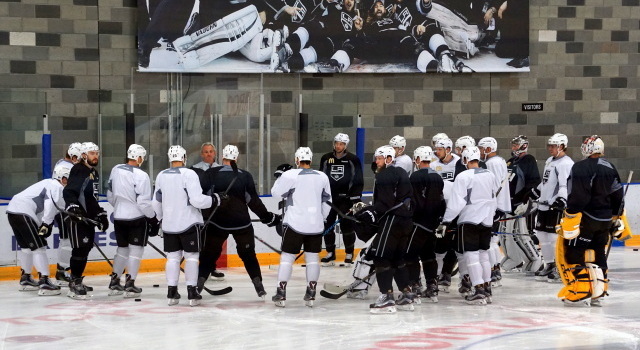 -Darryl Sutter has remained stuck on 599 wins after the team’s last two outings. Does his 600th come tonight? Let’s talk soon, Kings fans. Enjoy your Tuesday. Btw the Ducks and Kings are on a combined 220-minutes plus scoreless streak.